A while back I did a blog called “Haphazard Hashtaggery” intended to address our habit of hashtag desperation over research and relevance. Since social media is always changing, and hashtags remain one of the most prevalent questions I get during speaking engagements, I felt it was a good time to share a few more best practices around making hashtags work for you. First, what is most important to you when it comes to social media? Planning up front to research relevant hashtags that are on-brand and qualified, and more likely to reach your intended audience? If you answered #1, you’re probably already gone anyway… so here are some tips for the rest of you! Do Hashtag Research. This is so important for many reasons. First of all, there is a big difference between placing a pound sign in front of an impact word versus looking up what hashtags people are following and engaging with on a particular channel. Make it matter. Protect your brand. I’ve seen way too many posts that have caused me to faceplant upon clicking through to a hashtag used by a reputable brand. Remember, when you hashtag, you align yourself with the surrounding images that also appear on that canvas. When you blindly hashtag, you risk placing your brand name and picture next to something offensive or out of brand integrity. Isn’t that worth a little extra time? Fact or fiction: the best hashtags are the most popular ones? FICTION! Think about it, when someone searches a hashtag on Instagram, the first content displayed are “top posts”. It’s kind of like getting on the first page of Google. If you are competing with top influencers for a trending hashtag, it is very unlikely your post will appear there (yet!). 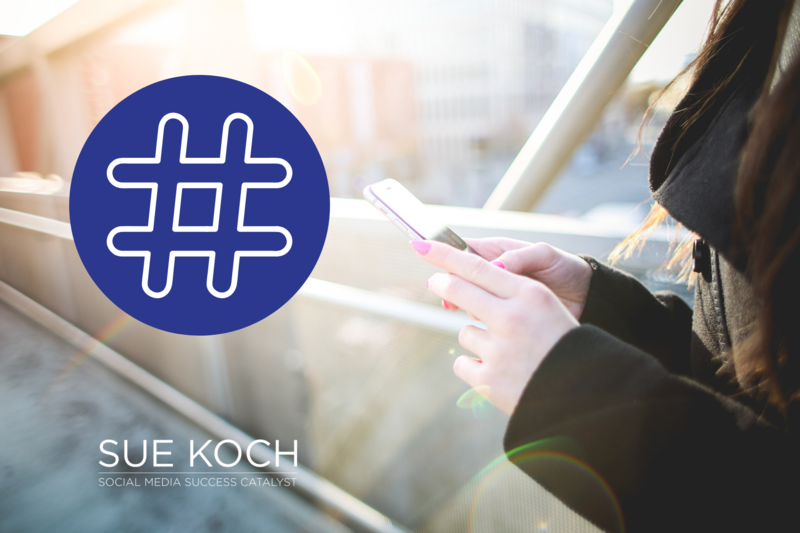 Find relevant hashtags that cross the spectrum of popularity to insert your brand into different conversations and search results. Mix things up from post to post. I know, it is so much easier to have your favorite hashtags in your phone notepad, copy-paste and call it a day. Is every single post speaking to the exact same audience and topic? If so, I ask you to revisit your content strategy. You may have a couple consistent hashtags like a branded hashtag and a couple of popular trends, but consider how each post may appeal to a different audience. By varying your hashtags post to post you expose yourself to a broader audience and also facilitate some A/B testing in your statistics. Be Aware of Channel Tolerance. Every channel has a different level of expectation and understanding when it comes to hashtags. That also means the users of those channels will either expect or possibly, be completely annoyed by the number of hashtags before them. 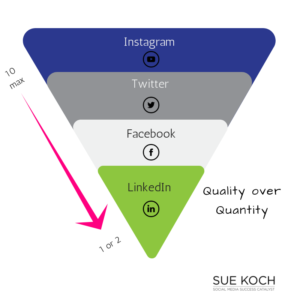 A Hootsuite study indicates 10 hashtags maximum as a guideline for Instagram. Beyond that, they actually detract from results. The below chart indicates a good best practice to follow and why it is so important to take that extra time to craft your post specific to the channel instead of cross-automating. Now is the perfect time to reset your hashtag strategy. Research, make it relevant and post according to channel & audience expectations. Trust me, that extra time will improve your results, and your time is very valuable!